and cleaned, hammered, and created into jewelry. 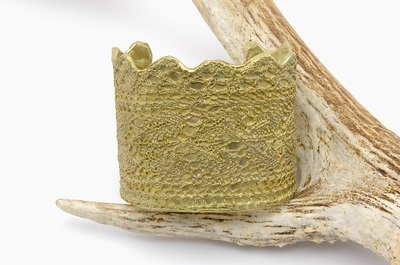 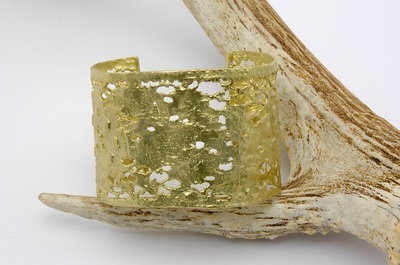 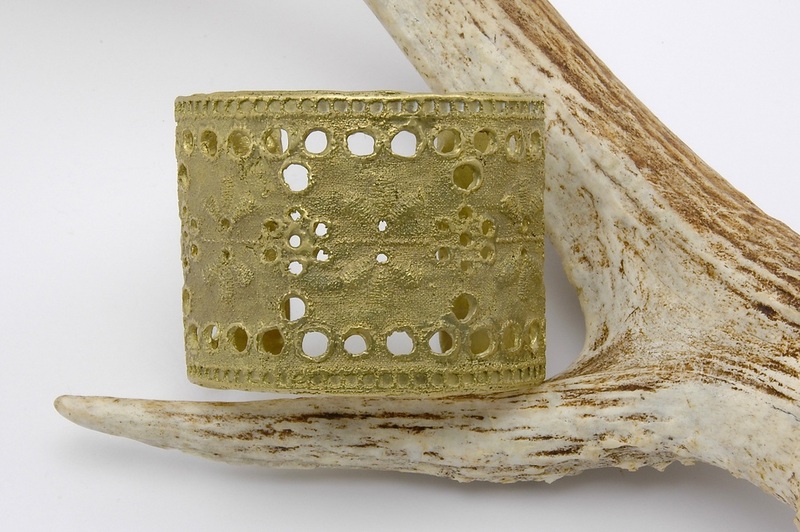 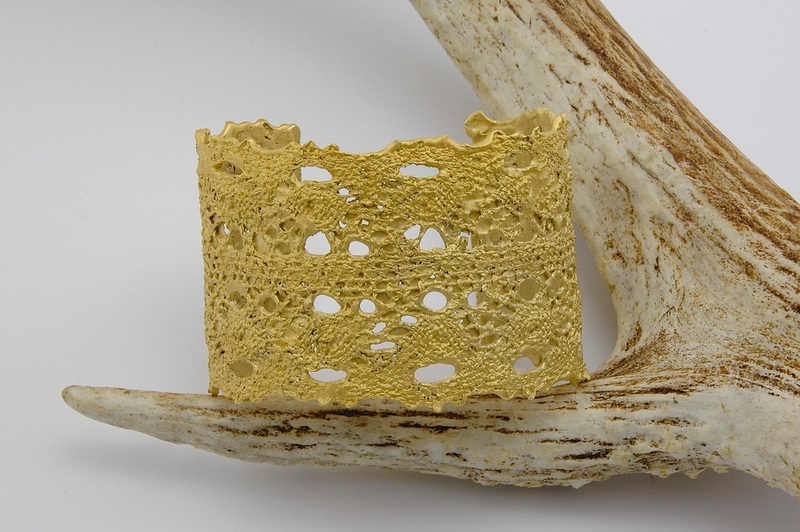 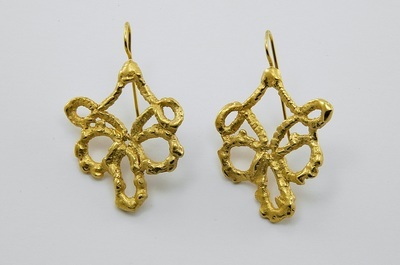 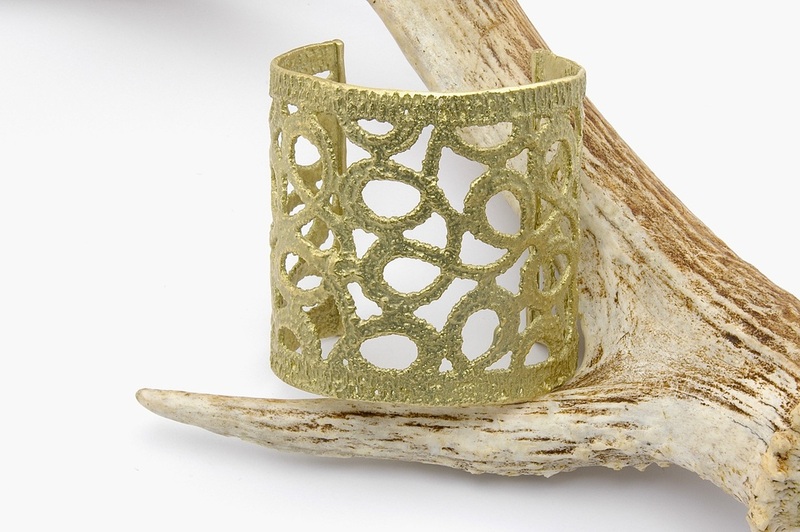 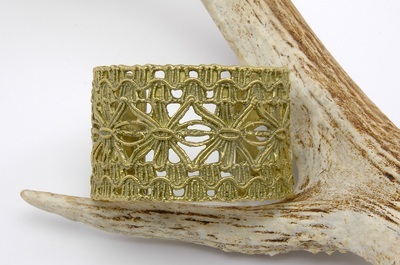 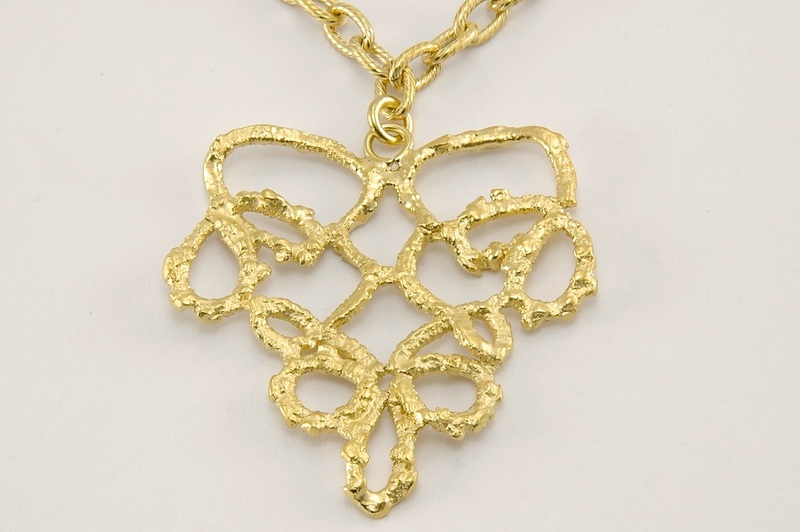 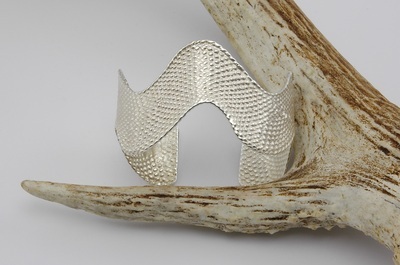 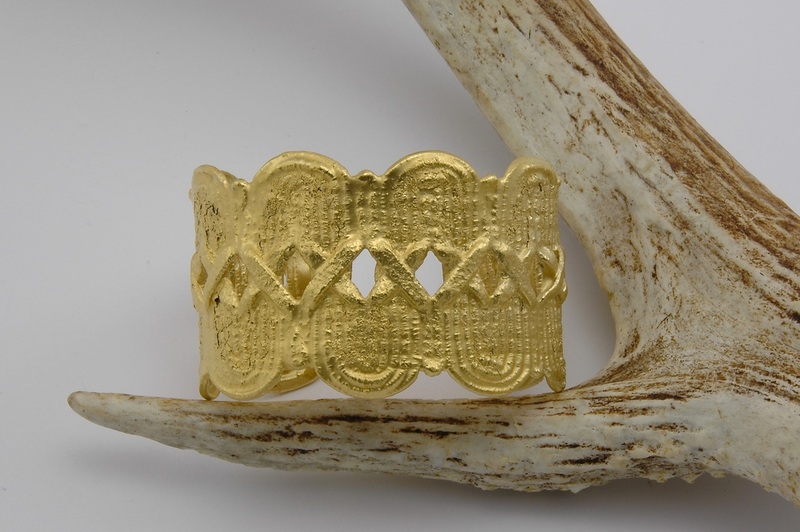 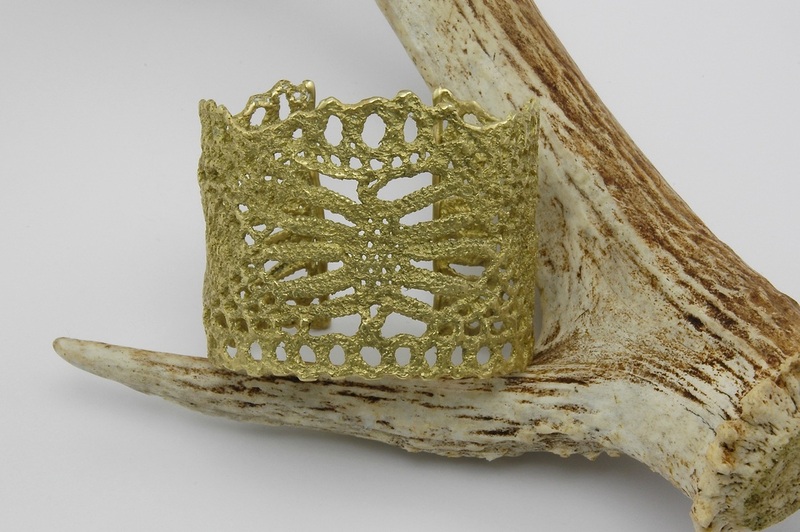 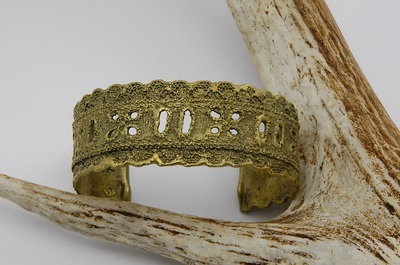 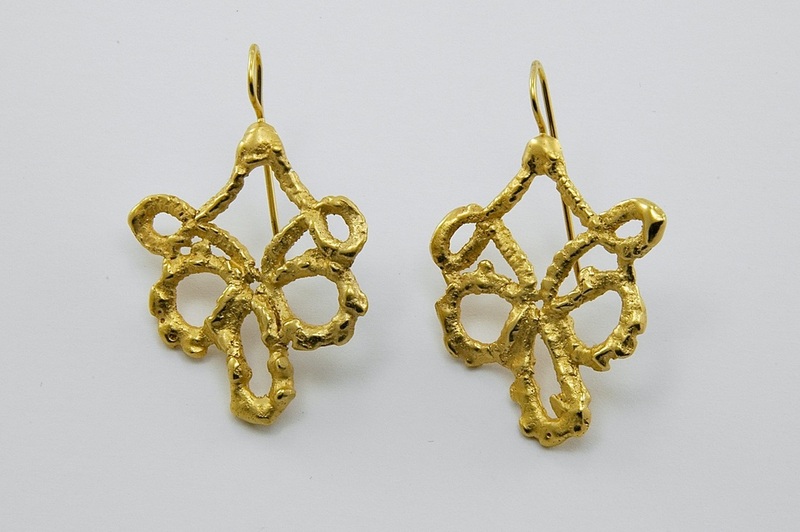 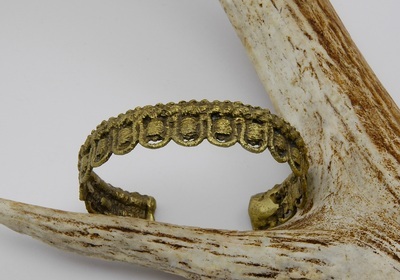 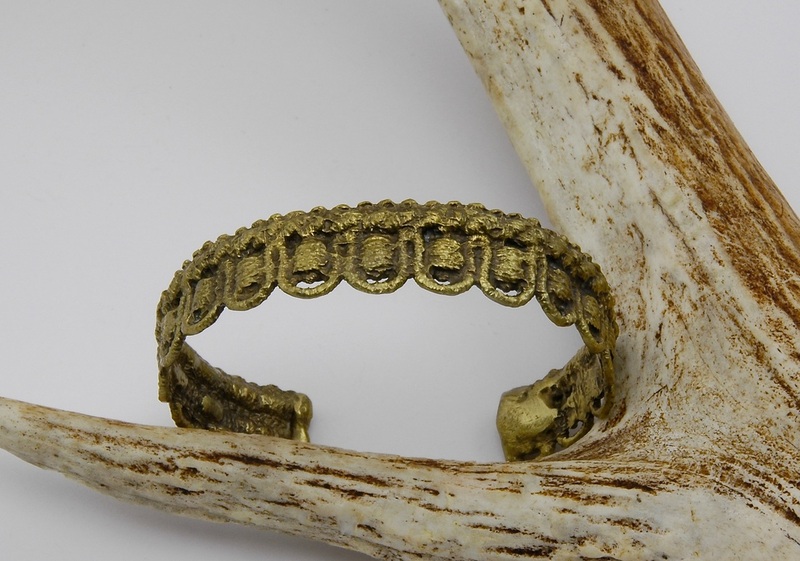 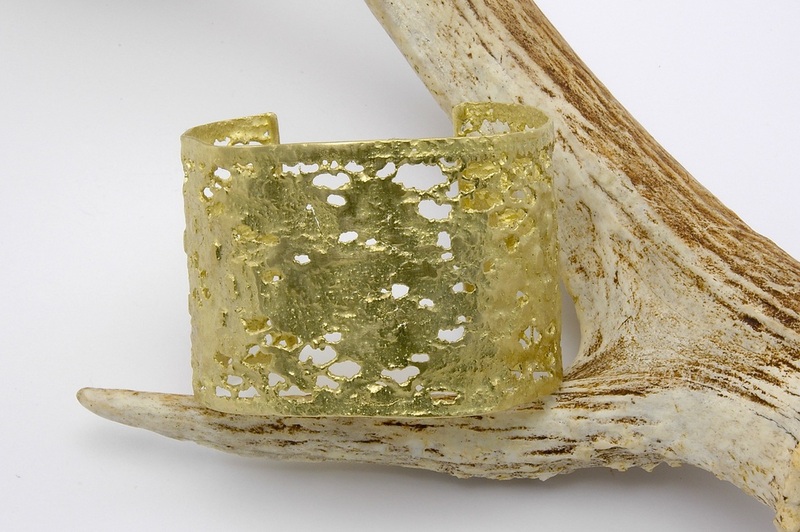 Any piece can be plated in silver, 14K gold, or raw and patinaed brass. 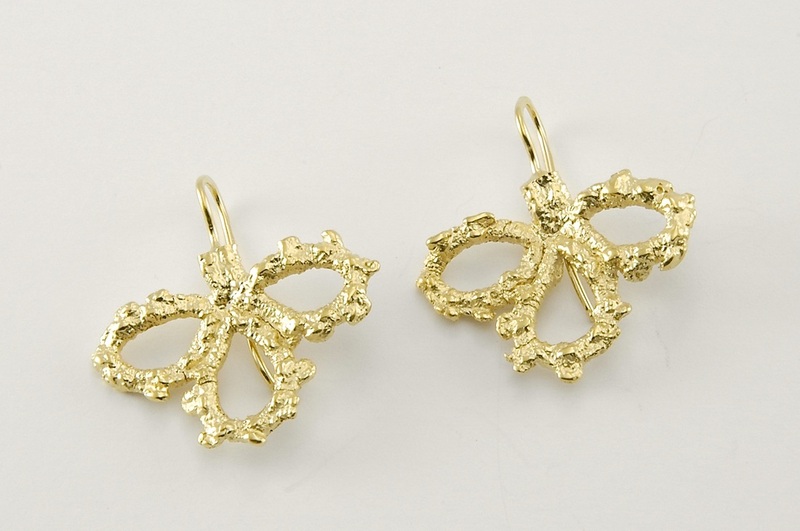 These range in price from $200 to $500. These can be custom made if you have a textile that you love.